If you feel like you’re drowning in your organization’s data, you’re not alone. According to Effective Data Governance, global data will grow to 40 zettabytes by 2020. Meanwhile, structured data is rapidly growing at a rate of 40%+ every year. That creates complex issues for businesses looking to better organize, access, and protect their data all at once. You may already be attempting to monitor your business’s data for hacking, and working to control it to meet regulatory standards, but that doesn’t mean you’re doing it correctly. A quality data governance program should include a governing body that defines procedures and creates an executable plan. To help get a handle on your data and ensure it meets regulations, use a data governance tool to help navigate the process. 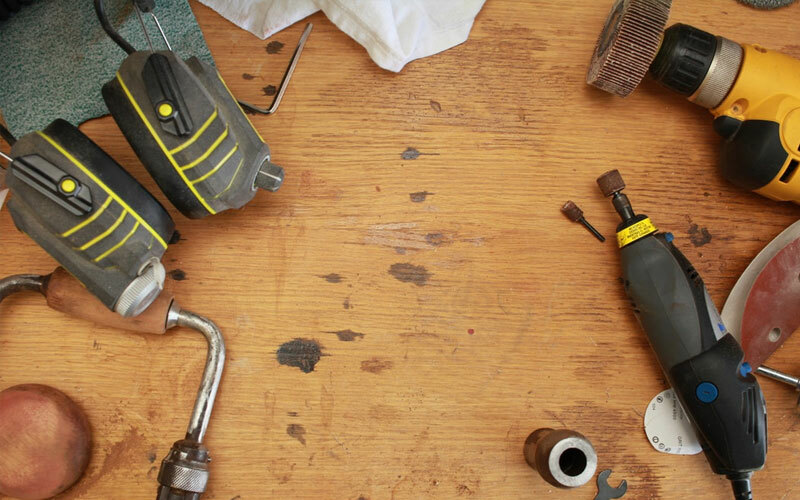 Check out our complete list of data governance tools to get started. Tag Inspector audits and live-monitors marketing tags for large sites and multi-brand enterprises. Their service includes a comprehensive tag library that helps websites build unparalleled data quality and performance. Acaveo provides file analysis software to enterprises looking to reduce costs and risks associated with unstructured data. Their tools help conduct data deletion and migration, improve compliance and security, and reduce data storage and eDiscovery costs. Agility Multichannel combines the features of Agility Product Information Management (PIM) software so end users can easily maximize their data’s value. They can preview it in different channels, and Agility offers support in Usability, Reliability, Capability, Validation, TCO/ROI and Adaptability. A.k.a. Software offers a platform for users to manage their data. Businesses can use the platform to build and deploy a wide range of governance solutions for their company to unlock value from information assets. Alfresco alleviates the challenges organizations face in the wake of more demanding information governance and industry regulations. The company works to make compliance effortless and efficient instead of an afterthought by simplifying the compliance and automation of a document’s lifecycle. Alteryx helps organizations realize the potential of their data while helping remove the struggle to turn it into something actionable. Clients work with Alteryx to create repeatable workflows for self-service data analytics. Price: Starts at $1,950 up to $5,195 per user, per year. Asigra has been dedicated to enterprise-class backup and recovery for over 30 years. They help organizations get back up and running efficiently and smoothly after a data loss, and place extreme importance on recovery. Price: Contact for quote. Pricing model is built on performance-based pricing. Founded in 1993, Informatica is a software development company offering data integration products. Informatica’s data governance functions can help deliver solutions for challenging environments. Their Big Data solution leverages the security and scalability of the managed Hadoop framework on Amazon Web Services. This allows Informatica to easily govern and protect big data quickly so companies can focus on their business value. Clearswift Information Governance products help identify, manage and protect critical information. Their email security products offer cyberattack and outbound data loss prevention. Collibra is a cross-organizational data governance platform built around openness and freedom. Their product helps break down silos and makes organizational data more transparent so users can find it, trust it, and easily digest its meaning. Curtain e-locker helps protect your sensitive information and adds an additional layer to data-loss prevention. The service helps save intellectual property from danger and safeguards sensitive data against being stolen and misused. Infogix Data3Sixty is a data management software platform with data quality, governance, and analytics offerings. The platform is designed to help a variety of areas in data governance work together, and to help organizations solve their business problems. An EU GDPR proof solution, Data Stream Manager helps organizations improve their omnichannel performance. They can help set up data streams in seconds and collect data from any source to stream it to the destinations of their choice. 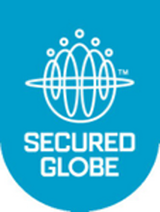 Secured Globe helps redefine corporate security by integrating corporate tools with security appliances. Their goal is to provide endpoint security solutions for every need. The Data Excellence Management System (DEMS) is a complete integrated cloud-based system. It enables organizations to automate data governance, business excellence, and analytics to maximize their business value. dspConduct offers data-driven governance that helps with enforcement, from planning to execution. Their tools help reduce costs and offer continuous governance to help organizations better understand where data comes from, where it’s going, and how systems and data influence decisions. eQCM helps organizations lower costs and increase their regulatory compliance. They offer a management software solution for on-premises deployment or as a hosted service. The ER/Studio Data Architect tools help you design and manage your logical and physical data models. Their tools also help you document, design and communicate data assets quickly and seamlessly. erwin Data Modeler discovers, designs, visualizes, standardizes and deploys data assets. Their data model serves as a roadmap for data infrastructure so organizations get a view of all of their data and its sources on a common repository. Everteam.records is a single system for businesses to collect, retain and analyze their records. Their product helps enforce policies and rules for the retention and disposition of enterprise content. File Facets reduces and mitigates risk with content analytics, data identification and secure data transfer. Businesses can choose the platform as an automated and scalable solution. Fusion Consulting helps organizations succeed in data governance with a modern approach. They help find solutions to better manage data flow and integrity, discover data types, assess data governance rules, and proactively monitor data quality. GlassIG manages information policies and organizations’ legal and regulatory requirements across data retention and information lifecycle management. They offer a secure, collaborative, and user-friendly software for companies to catalog their content, set policies and retention rules and automate the enforcement process. Information Value Management is a data governance software that defines, manages and sustains the information operation model. Their software allows clients to design their own policies and establish a data governance program. Lavastorm combines self-service data preparation with analytics to power data-centric applications. They integrate automation and governance to process vast amounts of data to be shared and automated. Little Forest’s LFI platform offers highly-customized web governance reports to compare against multinational websites. Clients can use the reports to make site improvements and maximize positive trends. Mapping Manager’s primary function is to help speed and streamline project delivery. They use an efficient ETL source to target mappings with an automated Pre-ETL. File Reporter delivers a flexible unstructured file data analysis with a built-in reporting solution. Their service helps organizations stay ahead of their storage to make sure their future needs are met. OpenDQ launched as the first open-source, data quality integrated solution. The product integrates structured and unstructured data quality processes, and allows companies to accurately and consistently incorporate all of their enterprise data. OneSoft helps you organize customers, relationships, people or projects. The software enables you to manage relationships for your data to turn it into reports, and comes with full API. Price: $0 to $33 a month. Reltio Cloud improves data governance and operations with an application to create, manage and provision reference data. Organizations can use the application to create, map, and manage reference data across multiple source systems. SAP’s Master Governance software consolidates and governs master data for quality and consistency. They support a collaborative workflow process to integrate business rules. Data Republic works with governments around the world to help open up their data to the constituents they service. Their Senate platform helps open datasets for governed interrogation and industry reporting requirements. Sherpa Altitude IG gives you the reach to see potential liabilities and risks in an employee’s workstation. Their software helps locate, analyze and delete unstructured data to lessen risk associated with corporate, legal, and regulatory compliance. Siteimprove helps unlock new insights into your content and analytics data. Their tool crawls your sites and data to track any broken links, spelling errors, and accessibility issues. sparesFinder Gatekeeper cloud-based governance solution helps businesses govern MRO master data on a global scale. They support workflows for the creation and modification of MRO master data. StealthAUDIT for Data Access Governance provides an automated and scalable platform to govern unstructured data. It facilitates automated workflows to secure sensitive data and applies consistent permission models to enforce access control. Symantec DLP uses advanced data detection techniques to identify and protect data. It also integrates with encryption and CASB technologies to protect email and data in the cloud. TopBraid is an agile data governance solution for enterprises. They support integrated data governance across data assets and governance needs. Zovy data governance helps you organize and optimize stored information while automating governance processes. Their solutions include data and email archiving, backup, file sync and share, and data migration.